Welcome to WeSnowmobile.com! Here you'll find all the information you need on buying a snowmobile, snowmobile gear, snowmobiling and caring for your snowmobile. Check out our snowmobile buying guides, including types of Snowmobiles, buying new or used guide, what to look for in a used Snowmobile and snowmobiles Classifieds section. Learn what to look for when buying snowmobile clothing, snowmobile helmets and snowmobile trailers. View our snowmobile storage guide. 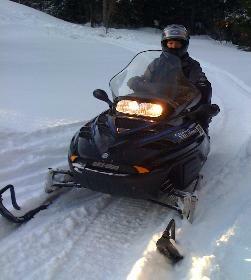 View our list of snowmobile clubs or list of snowmobile trail maps.